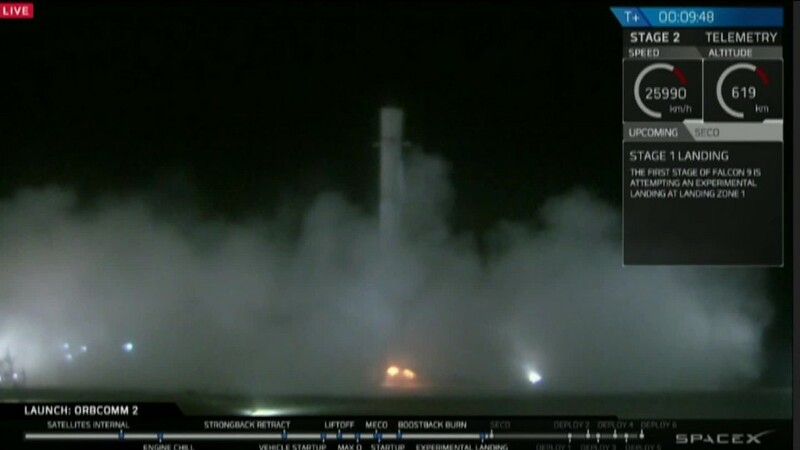 SpaceX finally guided a reusable rocket safely back to Earth after liftoff on Monday. Traditionally, rockets are disposed of after they detach from the spacecraft. The ability to recycle them marks a big step toward making space travel cheaper. After three failed attempts at a rocket landing, it marks a major victory for SpaceX and CEO Elon Musk. It's also the company's first flight since June, when its unmanned spacecraft exploded shortly after liftoff and destroyed two tons of NASA cargo. Weather and other delays kept its comeback flight grounded this weekend, but SpaceX launched from Florida's Cape Canaveral Air Force Station without a hitch on Monday evening. The primary mission was to put 11 small satellites into low orbit for Orbcomm's (ORBC) new satellite network. The satellites were all successfully deployed. The rocket landing was just icing on the cake. A SpaceX spokesperson said the task is "like launching a pencil over the Empire State building and having it land on a shoebox on the other side...during a wind storm." The company's first try at landing the rocket was in January. That effort was thwarted when the fins meant to guide the rocket's descent stopped working, and it crashed into the drone ship it was meant to land on. The second try in April was nearly successful, but a brief engine malfunction caused the rocket to fall off its platform and into the ocean. Then came SpaceX's June attempt to execute a mid-sea landing, which ended in an explosion. 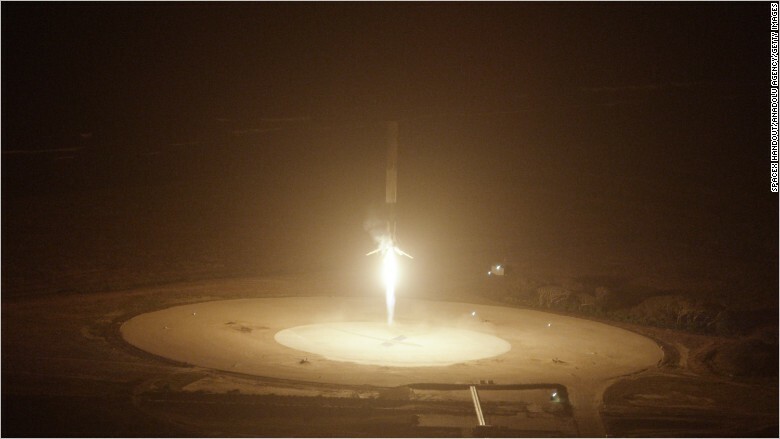 Its successful landing on Monday was SpaceX's first attempt to land the rocket on solid ground. "A jumbo jet costs about the same as one of our Falcon 9 rockets, but airlines don't junk a plane after a one-way trip from LA to New York," SpaceX explained on its blog. The company's rockets cost between $60 and $90 million. Blue Origin, which is headed by Amazon CEO Jeff Bezos, achieved a safe rocket landing after a launch on November 24 -- but SpaceX employees were quick to remind viewers during a livestream Monday that this was a more difficult feat. Blue Origin's rocket traveled vertically to a "suborbital" 62 miles above Earth. But SpaceX had to reach low orbit -- which begins about 100 miles above Earth -- and its rocket needed to travel at an angle and at a speed of more than 17,000 mph in order to put the spacecraft into orbit.